My parents are from Cali, Colombia, most commonly known as the salsa capital of the world. One of the earliest memories I have is of my father and I dancing around the living room on a Saturday morning, my tiny hands in his, my eyes focused on my feet. “Mireme! No mire al piso,” my father would gently say, encouraging me to keep my eyes up, focusing on his face, and not the floor. Shoulders back, eyes forward, feet moving close together, loose hips – the major tenets of Colombian salsa dancing, according to my dad, the former DJ. I was four years old, and this was the beginning of my musical education – a lifelong, passionate affair with salsa music and salsa legends! There are times when I feel like my American card should be revoked. I didn’t grow up listening to classic Beatles, Eagles or Queen albums; I didn’t attain that cultural capital that most white Americans have deemed the “norm” in this country. While attending some rowdy parties, I felt like screaming, Journey, WHO? Who cares about all these 80s hair bands?! Do you all even know who Hector Lavoe was, and how much he freaking ROCKED? Hector Lavoe will always be remembered for having the most beautiful voice in salsa music. Lavoe, along with Willie Colon, another giant in this genre, moved to NY from Puerto Rico when he was just 17 years old. In their early 20s, they released groundbreaking albums that would launch salsa’s popularity into the stratosphere! The enormity of their talent and drive at such a young age has always resonated within me. 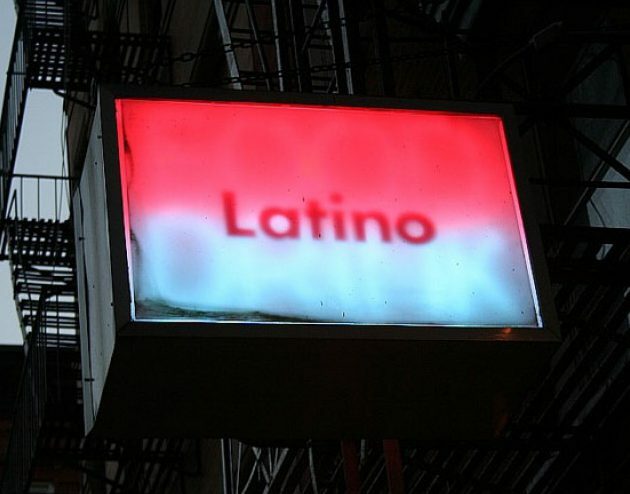 The story of Hector Lavoe and Willie Colon also illustrate the little known fact that New Yorkers of diverse backgrounds had a significant role in shaping salsa music into what it is today. Salsa was heavily influenced by the jazz and blues heard in Harlem, by the sounds of merengue from the Dominican Republic, and the melodies of black Caribbean and African nations. Since the 70s, salsa has become a multi-ethnic cultural and socio-political concept – it is a beautiful mixture of Latin, African and American culture. Salsa became a musical movement that celebrates the diversity of the Latin identity, and particularly inspires pride in the black Latin@ identity. Salsa gave our artists the incredible opportunity to share with the world their unique cultural experiences with racism, poverty, imperialism in their own nations. Some would say it is a very special feeling of brotherhood and sisterhood within the Latin@ community. In our heart of hearts, we’ll be salseros until the end of time.